Accomplished, creative and well-rounded professional known for delivering results with high levels of quality and ethics, seeking a Marketing Program Manager position. Brings 10 years of solid experience and select strengths including Project Management MBA, analytic expertise and customer focus. Drive for results with passion, energy and enthusiasm . Equally effective at relationship building, program development, and team leadership. Ready to learn on the flight. I embrace a "Lets DO IT" attitude. Self-motivated individual. Passionate about innovation and always exploring new ways to deliver better, improved results! 5 years experience and robust knowledge of sales strategies, sales support and improvement methodologies to ensure efficiency during the sales process. Constantly looking for creative, innovative approaches to fulfill my customer's needs ( internal and external customers)- I believe in creating and sustaining professional relationships to ensure a more successful outcome. I have an MBA in Project Management. I'm passionate about PM3 methodology and its standards. I utilize this methodology not only within my work environment but also in my day to day. Eager learner and eager to share my knowledge and experience among others. I enjoy bringing complex topics to the table- transform it in simple subjects for others to understand and learn. I have experience as a teacher in a college setting. I taught arts and English, and I also trained sales/ops teams. Passionate about details, always keeping the goal in mind. Determined to achieve the best outcome for our organization. Enjoy communicating with different teams and organizations. Embrace feedback and dynamic conversation with stakeholders. Passionate about communicating results, strategies and messages to my customers in a very visual, simple yet attractive solution. "Yvonne collaborates with everyone on my team as she's part of it. She injects herself into situations to help resolve them and improve out teams delivery. I have no doubt that without here tenacity we would not be where we are today , Yvonne delivers on everything we ask of her and more. She works diligently to ensure that the team stay on top of the important topics and she always takes tasks away and delivers on her commitments. She has helped my team be more aware and thus bringing closure to tickets quicker than the SLA and improving our metrics. She works with passion about doing the best she can do and doing the right thing..."
"Yvonne is an excellent, customer-focused project manager. 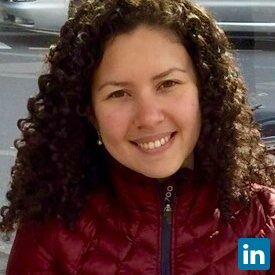 I worked closely with her when she led efforts for our Latin American customer experience surveys. A critical part of this role was engaging with and presenting to our key sales executives. She did a fantastic job to analyze key data elements and ensure that the leaders had the information that they needed to make key business decisions with our customers’ priorities in mind. I highly recommend Yvonne, and it would be a pleasure to work with her again"
"Yvonne is an exceptional employee who exhibits a work ethic that cannot be topped. When met with challenging deadlines or projects she meets them with excitement and clarity. Yvonne does a great job of setting expectations and resetting them if/where needed. Yvonne has shown strategic thought and leadership, Yvonne is a team player that goes above and beyond to ensure all team members are treated with respect. I can't say enough about her great attitude toward work and others and her willingness to do what is right for Dell..."
Design and implement Continual Service Improvement Program. Develop and execute cost reduction and performance enhancement plans based on the analysis of Change Management, Incident and Ageing Management, and Request Management data. Lead periodic meetings with Directors and Account / Operational Managers to review progress and drive action. Design and execute automated reports, saving >50% of on time production and 1 Full Time Employee. Provide oversight of Business Intelligence Team’s activities to ensure data integrity, calculations and report design are properly aligned with customer expectations. Document detailed report automation business requirements and manage related project execution. Establish a cross-functional process for managing issues and opportunities on a timely basis with clear roles & responsibilities, effective communication channels, and pre-defined Service Level Agreements (48 hours). Develop strong professional relationships with Tower Leaders, Enterprise Process Owners and Center of Excellence team. Optimize and standardize global customer order to cash tools and processes across all channels. Develop innovative solutions to improve performance based on opportunity / risk assessment and analysis. Drive change management and business readiness activities to ensure successful process and tool deployment. Support recruitment and employee training efforts (e.g., new hire onboarding, benefits, PeopleSoft / Kronos, etc.). Create talent acquisition forecast and advise business owners on recruitment strategies. Participate in union negotiations and act as Subject Matter Expert for employee-employers relations based on local labor law. Marketing research professor for entry level students- Marketing Major. Collaborate with business owners to define key performance indicators (KPI), implement Project Management methodology, and establish best practices / process improvement initiatives to increase customer satisfaction. Create customer service operating procedures and maintained demographics information. Develop deep industry knowledge (Sales, Customer Service, Baggage Claim, Airport Services, Mechanics, Pricing). Lead Net Promoter Score (NPS) activities, including vendor, customers and stakeholder management. Manage marketing research, web surveys development as well as ad-hoc surveys consulting / design. Implement strategy procedures, acting as Regional Expert for Customer Experience Related issues. Support Sales on efforts to improve NPS results via training and recommendations. Develop proactive solutions to improve operational performance via data analysis and opportunity assessment. Manage projects, troubleshoot issues and make recommendations to improve efficiency and reduce costs. Serve as a worldwide interface and coordination contact. Create and provide training resources for New Hires and bottom performers within sales organization. Act as backup manager; improve agent metrics by motivating to sell and developing personalized performance action plans. Prepare weekly business recap reports, coach sales team on Dell business model, and coordinate on-site operational activities. Respond to inbound queue calls for North American consumer market. Consistently meet and surpass sales business goals.